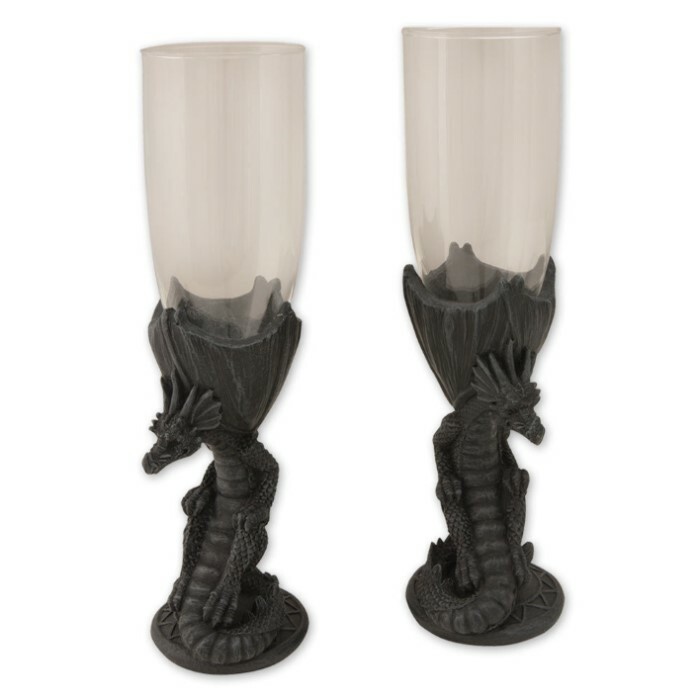 Pair of Dragon Goblets Fantasy Décor | BUDK.com - Knives & Swords At The Lowest Prices! You&apos;ve never had champagne until you&apos;ve drank it from these primeval flutes. Each of this pair features intricate details cast of resin and hand-painted for the utmost detail. The flute is constructed of sparkling clear glass perfect for watching your champagne bubble in. NICE WINE GLASSES EAZY TO BREAK ,BUT NICE. they look very clear better than this picture ! goes great with my dragon dÃ©cor. if you collect dragons this is a must have !